When a quick demarcation is needed, the KEE MARK system is the perfect solution. Kee Safety’s high visibility, maintenance free demarcation system is ideal for providing demarcation around plant, equipment and fragile materials or as an economical solution to guardrail, providing it is placed at least 2m from the roof edge. The KEE MARK system is compact making it portable and easy to assemble. The unique post design with a heavy duty PVC base weighing 25kg prevents the system from falling during severe weather conditions. 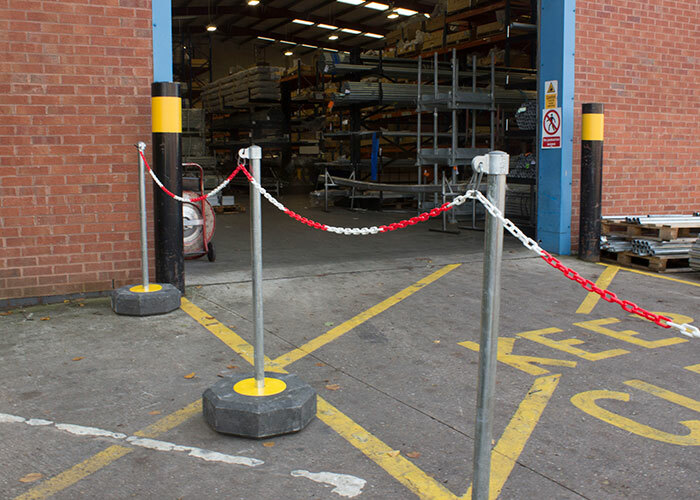 Kee Safety’s demarcation system is further enhanced by a high visibility, two colour, polyurethane chain which links between the support posts.